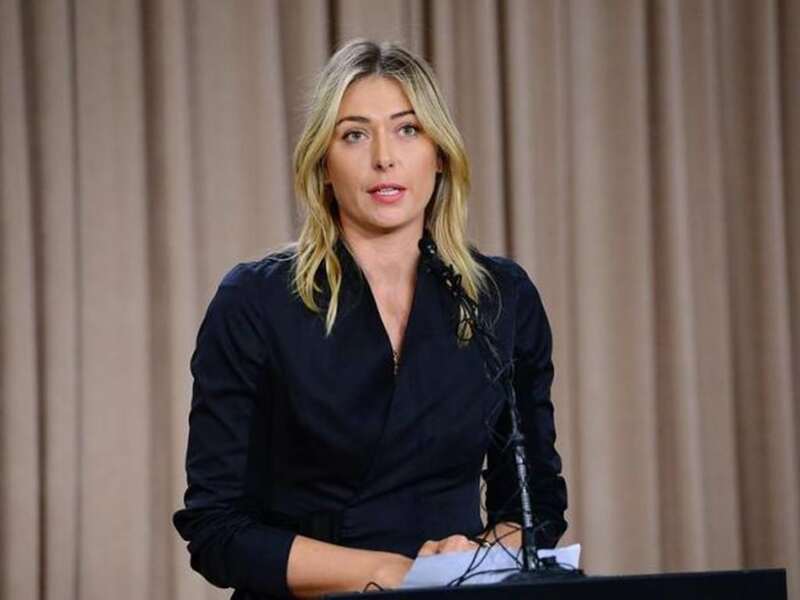 This article is not about whether certain tennis players are doping or using banned substances, without solid evidence and proof anyone who says they know a certain player is using banned drugs but can’t back up their claims, is just talking. However we do know that certain Pros have been caught using banned substances. So there is definitely a certain amount of doping going on in tennis, how much and how deep it goes is anyone’s guess. Only the Pros and the people around them know whether or not they are “clean”. In this article I want to discuss the advantages a tennis Pro would have from taking certain banned substances and how it might benefit their tennis. EPO has really been brought to attention via cycling and Lance Armstrong. Erythropoietin is an essential hormone for red cell production. Without it, definitive erythropoiesis, the process of red cell production, does not take place. Erythropoiesis-stimulating agents (ESAs) have a history of use as blood doping agents in endurance sports such as boxing, cycling, rowing, distance running, cross country skiing, biathlons and triathlons. The overall oxygen delivery system (blood oxygen levels, as well as heart stroke volume, vascularization, and lung function) is one of the major limiting factors to muscles’ ability to perform endurance exercise. Therefore, the primary reason athletes may use ESAs is to improve oxygen delivery to muscles, which directly improves their endurance capacity. With the advent of recombinant erythropoietin in the 1990s, the practice of autologous and homologous blood transfusion has been partially replaced by injecting erythropoietin such that the body naturally produces its own red cells. ESAs increase hematocrit (% of blood volume that is red cell mass) and total red cell mass in the body, providing a good advantage in sports where such practice is banned. In theory, EPO use can increase VO2 Max by a significant amount (VO2 Max is the maximum capacity of an individual’s body to transport and use oxygen during incremental exercise, which reflects the physical fitness of the individual. EPO is also involved in the wound healing process. For a tennis player EPO could have significant rewards. They would be able to train harder and for longer periods of time and they would recover from training sessions and matches faster and even recover faster from injury. Imagine two tennis players, both work just as hard as the other and they are the same level. One player decides to stay clean and will do all his improvements through hard work the natural way. The other decides to start using EPO. After a few months the player who is doping will be able to train with more intensity and for a longer period of time than the clean player. Who will have improved more in the 5 years time? So it is very possibly that some tennis pros were using EPO all the way through the 1990s without fear of even being tested for it. Anabolic steroids are drugs that have similar effects to testosterone in the body. They increase protein within cells, especially in muscles. Testosterone-Anabolic effects include growth of muscle mass and strength, increased bone density and strength, and stimulation of linear growth and bone maturation. Another less talked about gain from using steroids is the person produces more red blood cells. Very similar to using EPO. A tennis player might benefit from steroids with increased muscle mass, which with the right explosive training could give them more powerful and heavier shots and more explosive speed in general. Another benefit might be more body weight on strokes including the serve. Amphetamines, sometimes called “speed” or “uppers,” are central nervous system stimulant drugs that increase alertness, self-confidence and concentration, and decrease appetite while creating a feeling of increased energy. The chemical structure is similar to the naturally occurring adrenaline and noradrenaline that is produced by the body. The effects of amphetamines are similar to cocaine, but last longer. Amphetamines may provide some minor, short-term benefits. Current research shows that 10-30 mg methamphetamine may improve reaction time, and cognitive function, increase the feelings of alertness, decrease a sense of fatigue and increase euphoria. Amphetamine has been, and is still, used by militaries around the world. So would a tennis player gain an edge by using stimulants? 100%. Increased alertness, concentration, energy and confidence would help most players to train harder and focus more on the task and they would gain a massive edge in competition if using stimulants. Victor Conte is president of BALCO, a sports nutrition center in California. He served time in prison in 2005 after pleading guilty to conspiracy to distribute steroids and money laundering. later founded the Bay Area Laboratory Co-operative or BALCO, a sports nutrition center in California, which the USADA says developed the banned steroid tetrahydrogestrinone (THG) with the help of bodybuilding chemist Patrick Arnold. Pursuant to a plea bargain struck with prosecutors, he entered guilty pleas in July 2005 to one count of conspiracy to distribute steroids and a second count of laundering a portion of a check, he was sentenced in October to spend four months in prison and another four on house arrest. The wife of the doctor at the centre of the ‘Operation Puerto’ doping affair said she could bring down Spanish sport if she revealed all to which she was privy. In an interview with La Provincia newspaper, the wife of Dr Eufemiano Fuentes, Cristina Perez, a European 400m bronze medallist in 1987, said: “I know what happened at the Barcelona Olympics in 1992.” Perez said “many Olympic medals” were won by Spain thanks to her husband. Spain won a record 13 gold medals at the Barcelona Games. “It’s a Pandora’s Box and if opened one day, it could bring down sport,” Perez said. “But out of respect for my companions, to the people who sacrificed so much, I’m keeping mum although I could speak out and ruin all those caught up in this little world.” Fuentes is reported to have been the mastermind of a vast blood doping network, which was dubbed ‘Operation Puerto’ in May 2006 following a police raid on his Madrid laboratory which uncovered doping products and blood bags. I do not in any way condone the use of or encourage anyone to use these banned Performance Enhancing Drugs. No one really knows the long term health effects of any of these drugs on the body. This article is simply showing you that there are massive gains to be made by cheating and tennis is a massive business that makes a massive amount of money every year and for some Pros who are struggling to get by on the Challenger or Futures circuit you can see why they might take a shortcut to try and reach success. It would be naive of anyone to think that professional tennis is completely clean when there is so much money to be made from doing well. And if you know the next guy is cheating and you want to be the best then you might feel that using PEDs is the only way to make it a level playing field. What Do The Players Think?